Featuring Canon’s LUCIA EX 12-colour pigment ink system, the iPF6450 delivers outstanding accuracy, rich colours and exceptional versatility for graphics arts professionals. Building on Canon’s reputation in the large format market, the iPF6450 delivers speeds up to 50% faster than previous models, superb print quality, excellent reliability and exceptional versatility for graphics arts professionals. The iPF6450 incorporates a built-in 250GB hard disk enabling highly efficient printing. The hard disk makes it easier to recover jobs after errors, re-order jobs and makes it easy to effortlessly handle large amounts of data. 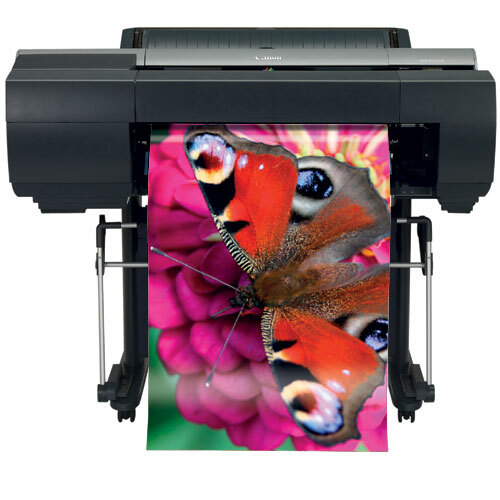 The iPF6450 provides excellent compatibility with ICC profile-based colour management systems (CMS). It is also designed to work seamlessly with numerous third party RIP vendors, supporting production, photography and proofing applications. And for maximum versatility, a wide diversity of media types are also supported.